This Item is a Pre-Order and will arrive on: Wednesday April 25th 2018 ! JAN182765 - This Harley Quinn themed wallet is perfect for any Batman fan! 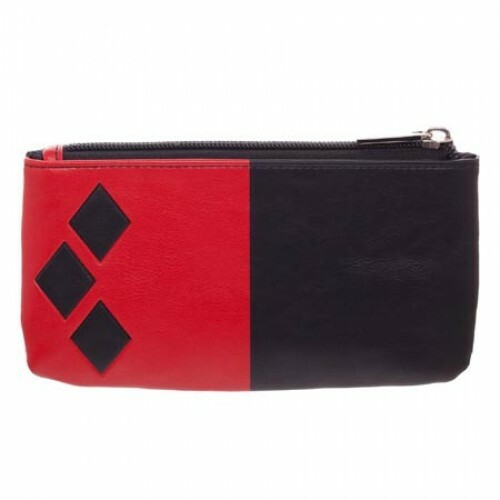 It's super cute and features a design inspired by Harley's classic costume. It is a trifold wallet with enough space to store your cards and cash as well as a zipper pouch on the backside!